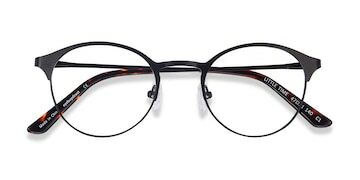 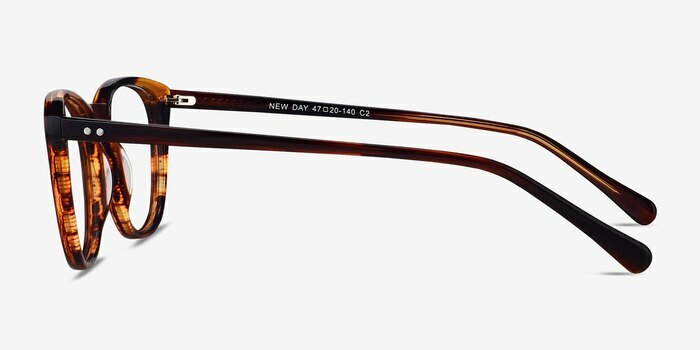 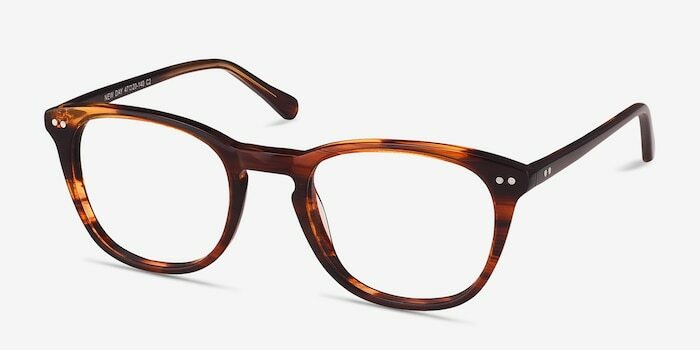 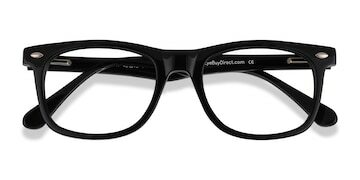 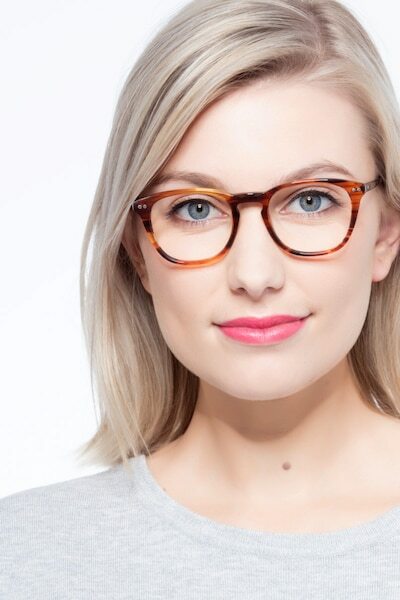 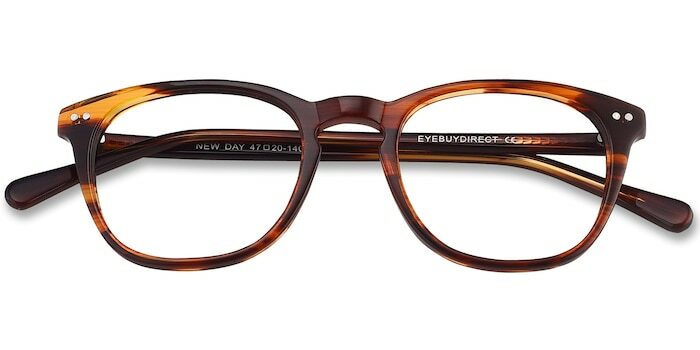 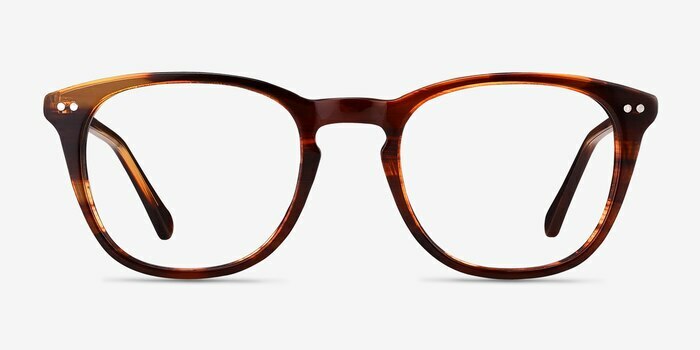 Put your best face forward with these brown eyeglasses. 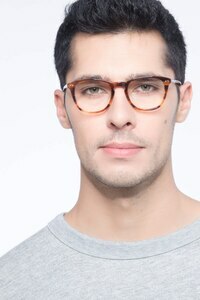 This full acetate frame comes in a semi-transparent striated brown finish throughout with square shaped lenses. 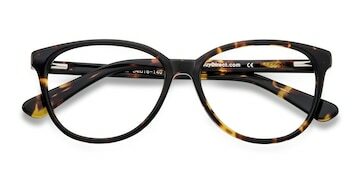 Classic details like a keyhole nose bridge and double stud accents make this trendy look universally flattering for all face shapes.